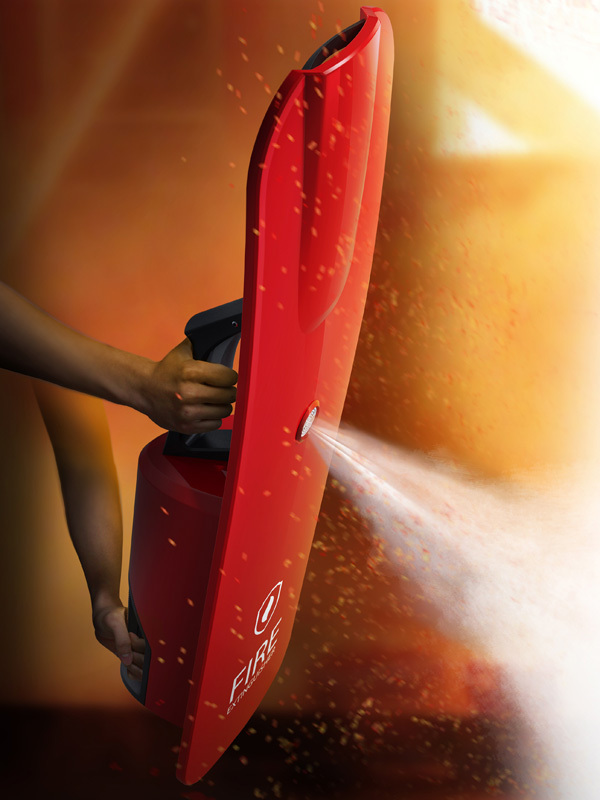 Our typical fire extinguishers are bare minimum in design. 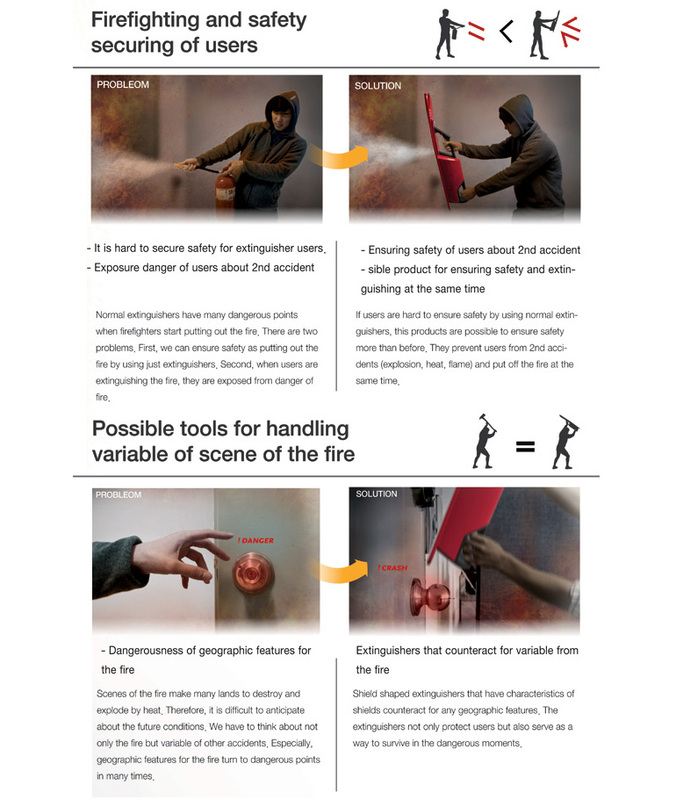 They serve only one purpose: fire dousing. There is a little more that can be added, particularly in the form of protection. 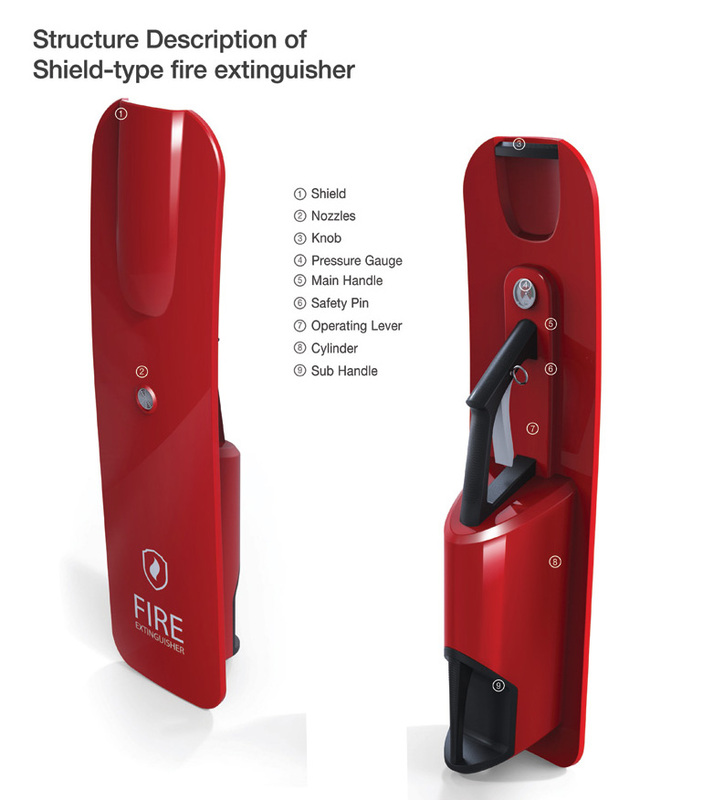 The Shield Extinguisher attempts to do this by bridging the gap between fire fighting and protecting one from flames, smoke and possible blasts.